Partners: The Government of Sri Lanka (Provincial Administration, Parliament, National Police Commission, Human Rights Commission, Secretariat for Coordinating Reconciliation Mechanisms, Ministry of Prison Reforms, Rehabilitation, Resettlement and Hindu Religious Affairs, the Survey Department and the Land Commissioner General’s Department), Civil Society Organisations and Community Based Associations including the resettled communities. The past two years have seen renewed opportunities for peace building and reconciliation efforts in Sri Lanka. To guide longer-term support for peace building, the Government of Sri Lanka together with the United Nations and development partners, developed what is known as the Sri Lanka Peace Building Priority Plan. This three year plan, which is part of the Government’s framework for reforms aimed at reconciliation, was developed through extensive consultations between the Government, Civil Society and Development Partners. The plan identifies four interlinked national priorities which are transitional justice, reconciliation, good governance and, resettlement and durable solutions. The European Union in partnership with the Government of Sri Lanka and the UN in Sri Lanka have come together to contribute to the implementation of this Plan through the Catalytic Support to Peace building in Sri Lanka Programme. With a funding of 8.1 million euros from the European Union, this 18-month programme will be implemented by the United Nations Children’s Fund (UNICEF), the United Nations Development Programme (UNDP), and the United Nations Human Settlements Programme (UN-Habitat) in partnership with a range of stakeholders. The vision of this initiative is to contribute towards national peace building efforts in Sri Lanka. UN-Habitat will implement Output 4.2 of the project to support vulnerable communities of the Northern Province to ensure security of land tenure. 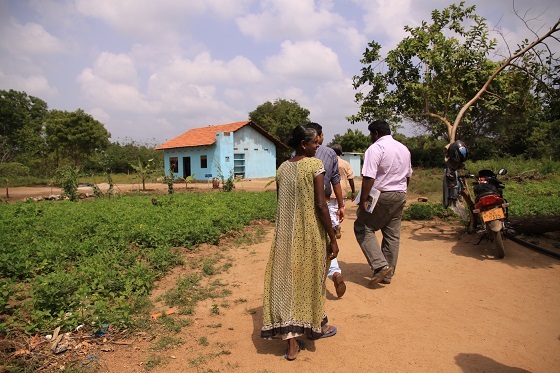 The expected result is to provide improved land tenure for 20,000 conflict affected returnee households in the Northern Province of Sri Lanka through the provision of survey plans and land titling documents. The main beneficiaries of the project are victims of the conflict and victims of human rights violations and abuses, families affected by conflict related displacement, marginalized and excluded groups and the general public. Overall Objective of the EU-IcSP Project: Early confidence building measures build trust and contribute positively to peacebuilding in Sri Lanka. Outcome 1: Significant progress made in the implementation of the Government’s commitment on transitional justice as expressed in the UNHRC Resolution. Outcome 2: Public display greater awareness and willingness to engage constructively in the peace building process. Outcome 3: Key state institutions and processes strengthened through provision of technical support. 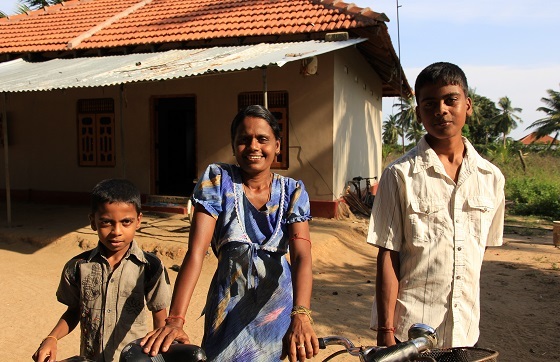 Outcome 4: UN catalytic engagement with resettlement and durable solutions has supported wider political transition, peace building and reconciliation efforts in Sri Lanka. UN-Habitat will implement project activities in partnership with the Survey Department, Land Commissioner’s Department, and Registrar General’s Department, Land Settlement Department, the “Bim Saviya” Secretariat and beneficiary communities. Provide critical surge support to the Survey Department in the Northern Province. Facilitate issuance of legal land tenure documents through provision of support to government land titling programmes. The United Nations Human Settlements Programme, otherwise known as UN-Habitat, is the United Nations agency responsible for human settlements. UN-Habitat is mandated to promote socially and environmentally sustainable towns and cities, with the goal of providing adequate shelter for all.